You’ve training hard, you’re in good form and you feel you can be placed in races or even win one. While many Irish road races come down to sprints, those gallops are from a breakaway and not bunch sprints. 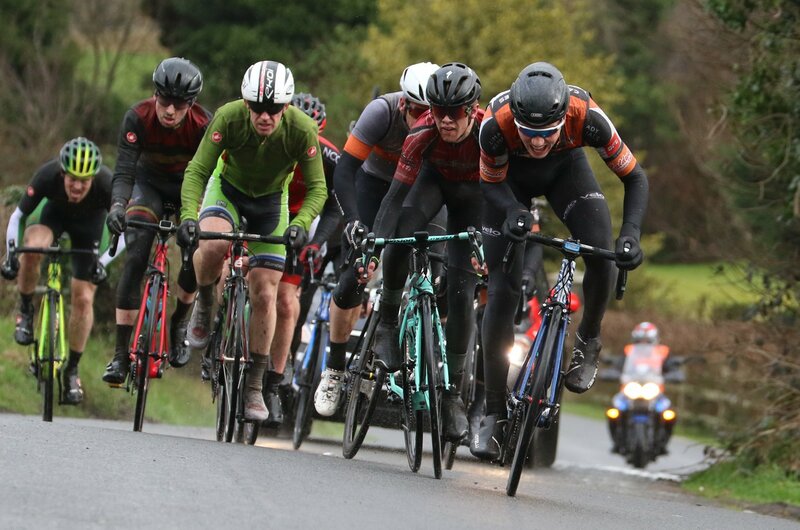 So if you want to be successful in Irish road races, you need to get into breakaways regularly; not just any breakaway, but the right one. There is no sure way of always being in the winning breakaway, obviously. But there are certain things you can do, and a certain type of rider you can watch, to increase your success rate. If you are keen on going from the gun and fighting for the early breakaway, you need to make sure you are properly warmed up so as not to shock your body. A good idea is to do a good activation on the turbo or on the road before the start. This will ensure your body is ready to go full gas early in the race. The purpose of a warm-up is to increase blood flow, increase muscle activation and stimulate the neural system. Be relaxed, don’t attack too often and be sure to follow the right moves. You can’t be in every single attack. Try to be in a move and if it doesn’t work, then recover a little before trying again. Paying attention to what is happening in the race and staying focused is important. You have to feel the mood of the bunch and base when you attack off of this. Being able to feel this can be improved with more racing. One key thing to look for is who else is in the breakaway, which is also addressed in another way below. When you look around in an escape, you want to see strong riders who are capable of making it all the way. Preferably you want to see several strong riders who are willing to work hard and who you know you can beat in a sprint. Getting clear in the right company is crucial. If you can, ideally you should keep an eye out for breaks forming. And when you see a number of strong riders getting together off the front, you should think about joining them. You can either move with them (which is easier as you have no gap to close). Or you can wait until they gain a decent gap and then jump across it. Waiting until they have a gap means you are not constantly gambling and going in every move. Instead, you are waiting for the right move to form and then with one big effort you can get across. The break will often go when the racing is at its hardest or just afterwards. Finding the right moment is everything when trying to get into the break. Look and wait for moments when the bunch might hesitate. This can include going into corners, going from wide to narrow roads, on a windy section or anything that might catch people by surprise. Sometimes if there is a climb or feature that everyone is fixated on the break won’t go because everyone expects it to go at that spot. And it will go after the climb or feature because people will relax once they make it through the feature; usually a climb. Getting the right composition of teams in the breakaway is key. You can even ask a member of a rival team to stay on your wheel when you attack to ensure that they are represented and don’t chase. Cooperation with rivals can begin before you even make it in the move. Once you are in the break, you need to assess the situation. Who is in it, who isn’t in it, who will chase, who can I beat that is in this move. And then based on all this you can decide how hard you should work or whether you should work at all. In a small breakaway, in most cases, you should probably pull through even if it’s slowly. Angering your breakaway companions is not a good way of going about making it to the finish. Your feigned cooperation – going through the motions but not pulling very hard – will comfort the other riders into working with you; perhaps even harder than you are. 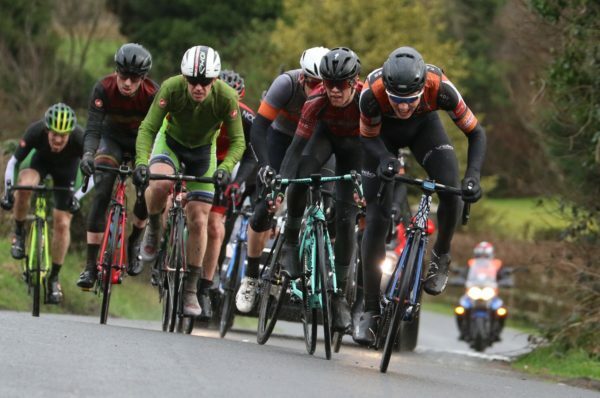 Unless you really have a team mate behind that could win the race, you are better off working and trying to confirm at least a 3rd or 4th place rather than risking it all on your team’s result in a bunch finish. Once you are in the break, make sure you ride steady. If you accelerate too much when you roll through you might end up breaking the consistency. Understanding the correct pace and power output when working in the break is also the key for the survival of the breakaway. If everyone rides through without big surges when the riders hit the front, nobody is having their legs pulled off by one rider suddenly accelerating. The acceleration may appear to be speeding up the breakaway, but that’s not what will happen. Instead, a rider surging through ruins the cooperation of what should be several riders working as one unit. And that loss of cooperation, or even simply disturbing the cooperation, definitely slows down the breakaway. So even if you are riding through hard; keep the pace smooth and don’t surge through really quickly. 6 Workload: How hard should I work? In terms of workload; you should work. But don’t forget, this is a race and you need to mind yourself. If, for example, you are in a breakaway of five riders and you ranked them from one to five based on who is doing the most work; ideally you want to be the 4th rider in that list. You want to do slightly more work than the least productive person in the move. But you should be happy to see the vast majority of the breakaway working harder than you. However, sometimes you need to give it everything, especially if it’s the difference between the breakaway surviving and you being placed or the move being caught and then you coming nowhere.